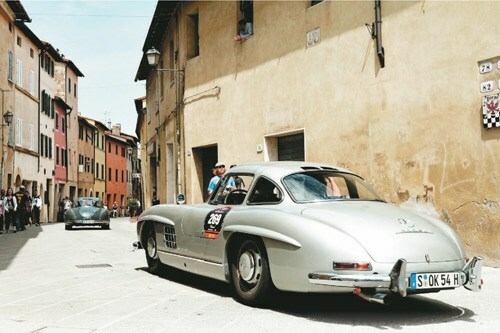 Former McLaren-Mercedes Formula One driver, David Coulthard, will drive the legendary Mercedes-Benz W196 300 SLR at this year’s Mille Miglia road rally. 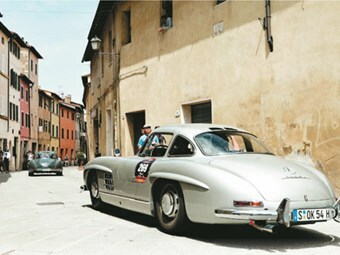 A long-time supporter of the rally, Mercedes-Benz is the main sponsor of the 2013 event. 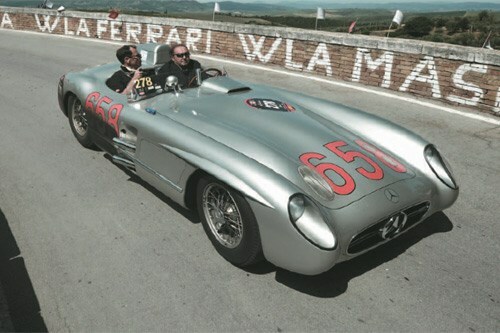 The 300 SLR has a special association with the Mille Miglia due to its famous victory in 1955. 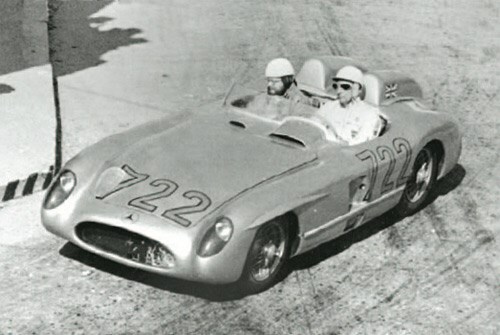 Stirling Moss, partnered by British motorsport journalist Denis Jenkinson, completed the 1587km course (Mille Miglia is ‘A Thousand Miles’ in Italian) in 10 hours, seven minutes and 48 seconds at an average speed of 157.65km/h. In addition to Coulthard’s participation in the SLR, Formula One safety car driver Bernd Maylander and former Mercedes works drivers Jochen Mass and Karl Wendlinger will compete in 300 SLs, while endurance racing legend Marcel Tiemann will be driving a pre-war supercharged Mercedes SSK. The Mille Miglia was a 1000-mile road race held from 1927-57 in which competitors travelled from Brescia to Rome and back again on public roads. It was cancelled as speeds spiralled out of control (the faster cars were cresting 190mph) and the casualty rate became unacceptable. are not permitted. Almost 400 cars took part in the 2012 event, the winning car a 1933 Alfa Romeo 6C 1500. Unique Cars will be attending this year’s rally, which was due to start on May 16, just as we went to print. Look for a feature in an upcoming issue.